The Faculty of Medicine of Universitas Sebelas Maret (UNS) has a strong commitment to health, technology and life sciences research. UNS aspires to grow continuously and being part of the solution of various national health problems. One of the efforts for solving health problems is that the organization of the International Conference on Health, Technology and Life Sciences (ICO-HELICS) with special emphasis on medical technology and life sciences for the advancement of human health. The rapid advancement of technology and sciences is now transforming research in health. Artificial intelligence together with genomics and biomarker discoveries are providing promising avenues to deliver truly individualized therapies. It is this dynamics convergence of technological advances and their potential that had been the subjects of the talks given at the 1st ICO-HELICS. The first ICO-HELICS has brought together researchers, clinicians, and students to share their experiences, ideas, and findings and to discuss recent updates and practical challenges related to human health. The conference attendees also had an opportunity to develop a strong relationship and networks amongst each other, particularly those sharing the same research interests. The 1st ICO-HELICS was held in Solo Baru, Indonesia on 17–18 October 2018. 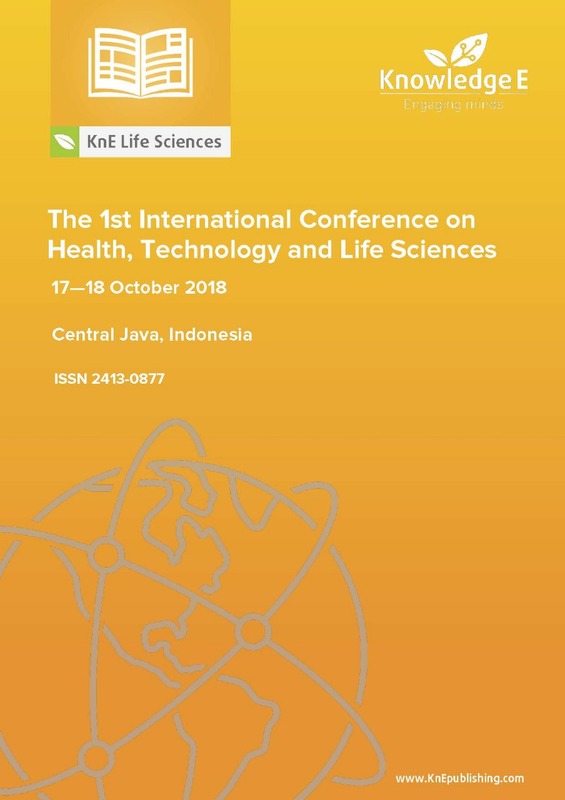 About 200 participants and 8 keynote speakers from Indonesia, Malaysia, Japan, Australia, Taiwan, Sweden, and the USA joined the event; 86 articles and 4 posters were presented by the conference participants, and 40 papers were selected to be published in the present conference proceedings.